Hiring a client from The Arc San Francisco is good business. From operations to staff diversity, Arc clients enhance your workforce and are fully supported to succeed by our team of placement experts and job coaches.  For more information about The Arc San Francisco Employment Services, contact Kristen Pedersen, Director of Employment and Education Programs, at kpedersen@thearcsf.org.